Preparing an apartment for the unaccompanied teenagers who just turned 18! A minor who turns 18, does not become an adult the very next day! When launching, for the first time in Greece, the activity “Supported Independent Living for Unaccompanied Minors”, aged 16 to 18, with funding from UNICEF, we knew that we would face the following issue: When the children turn 18, what will we do? For the first children who came of age, we sought help by METAdrasi’s friends and supporters and, all together, we managed to make the impossible possible: to offer them the opportunity to live in an apartment, so that they can continue what they have started, their course towards a smooth integration into Greek society. They had already learned to cook, to take care of their home, to wash their clothes, to adhere to specific house rules. Now, they are called to implement these rules by themselves. 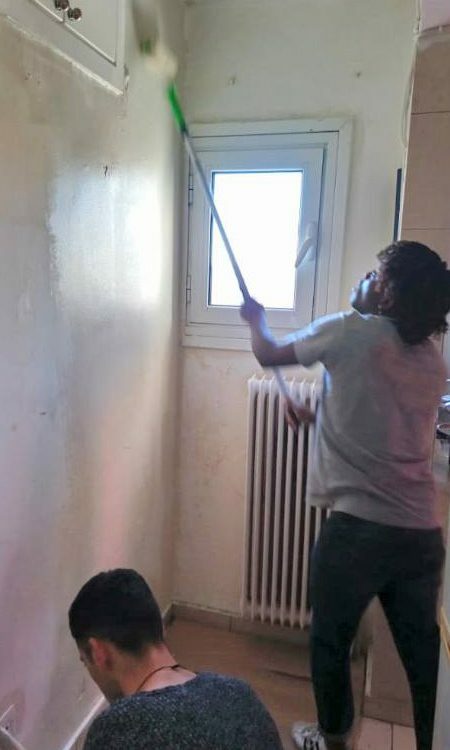 So, METAdrasi’s members got together on a Sunday morning, to paint the apartment of the children who became adults! We had already bought the necessary equipment and the teenagers had picked the colours. 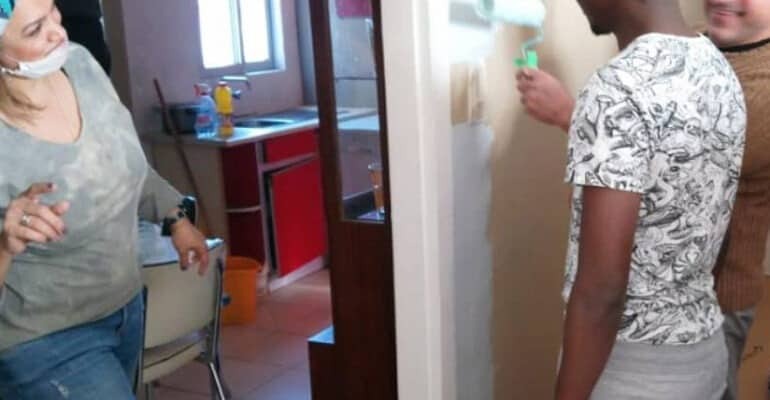 With coordination by some of our interpreters who offered to help and with the company of younger unaccompanied children from the apartments of Supported Independent Living, we took sponges, brooms, painting rolls and brushes and we got started! With music, laughter, paint everywhere, the house looked bright in the end! 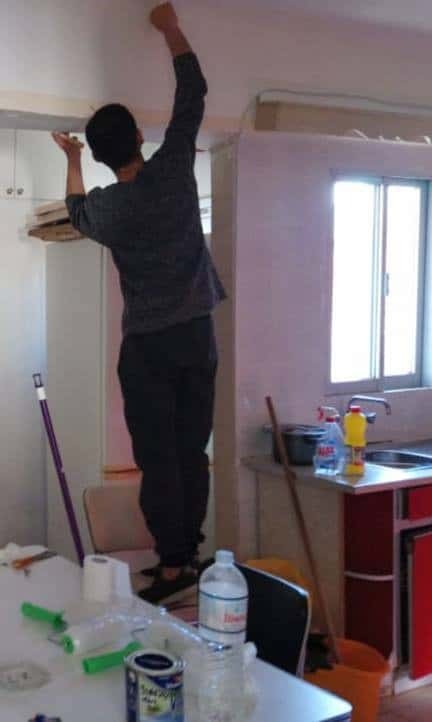 In the afternoon, the teenagers, with slices of pizza in hand, were admiring their work, the most mischievous among them discovering non existing imperfections… Sami, who just turned 18, was designated “master craftsman” and he was impatient for the break to be over so that he would pick up the brush again! 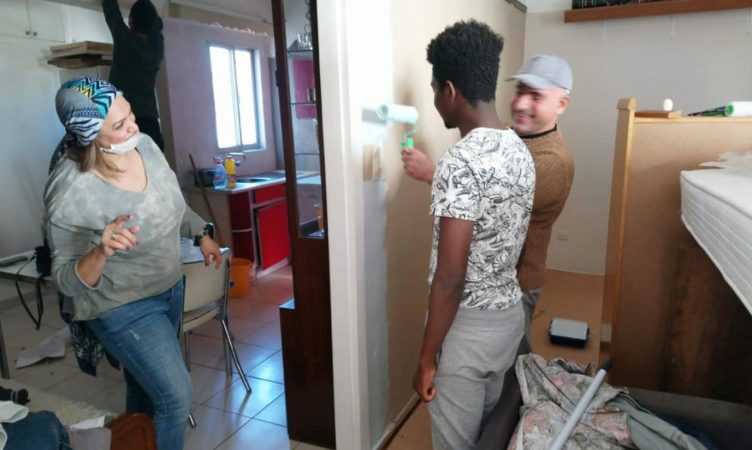 METAdrasi’s Accommodation Facility for Unaccompanied Minors in Chios: a feast for the neighborhood!